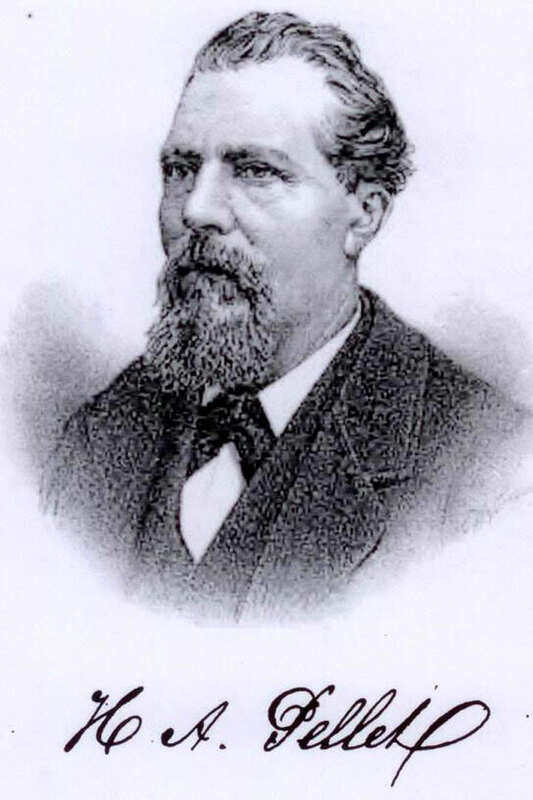 Henry Pellet was one of the original pioneers of the Napa Valley in 1859. He was part of the an exciting time in Napa Valley's history along with contemporaries Charles Krug, John Patchett, HW Crabb (To Kalon), and Dr. G.B.Crane. He purchased land and planted vineyards in St. Helena next to his neighbor, Dr. Crane and made wine that was highly acclaimed for himself and his neighbors, beginning with the initial vintages for Dr. Crane. He eventually established one of the first commercial wineries, Pellet & Carver and was elected the first Secretary of the St. Helena Viticulture Society. Henry Pellet's vision of bringing back over 60 different varietals and rootstocks from Europe, ascertaining the best cultivars for Napa Valley, helped establish commercial wine production in the valley. His drive and tenacity for quality drives us to continue his legacy on this historic Estate vineyard.